I truly love this record, first do exactly what it tells you and turn off the lights. It goes straight off into the bass hook and doesn't hang around long before Laura "Tequila" Logan starts groaning, moaning before finally delivering her superb vocal. When Larry gets going on the keys it's all over ! 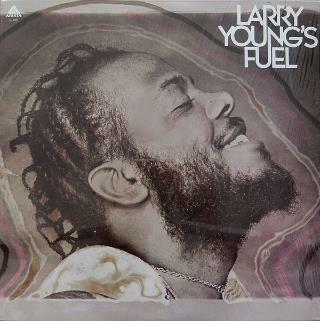 Larry Young plays one of the most original and never since replicated synth sounds of all time from what must be a Mini Moog or Cdx-0652 Portable Moog Organ according to the album notes. I'm going for the CDX as it sounds weirder, any takers? I used this track for a compilation I mixed for Fat City Records back in 2002 for their Stars on 33 series. 1975 pressing £10-£25 VG - Mint.